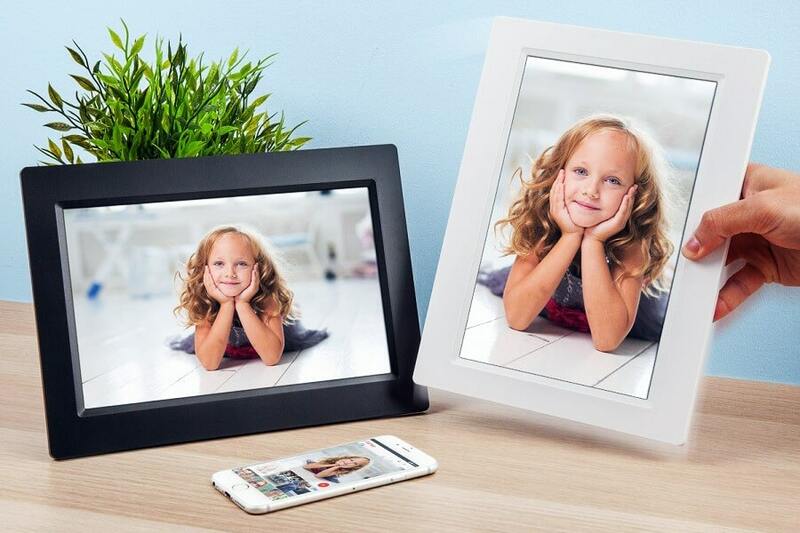 Every Picture Tells a Story – We try out the best-selling digital picture frames! 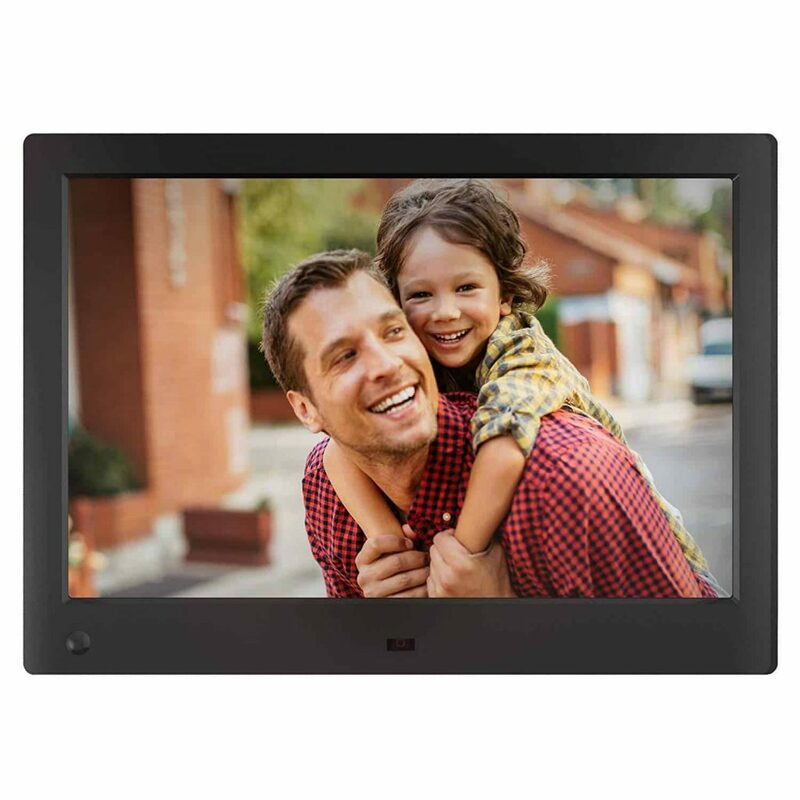 Of a similar design to a conventional picture frame, a digital frame is a small LCD screen. Set on a stand, or hung on a wall, they can be displayed as either landscape or portrait style, and play a slideshow of favourite photos. Like a digital camera, digital frames offer some built-in memory and a memory card slot that offers the facility to increase its image storage capacity. There are several points to consider before buying your frame. 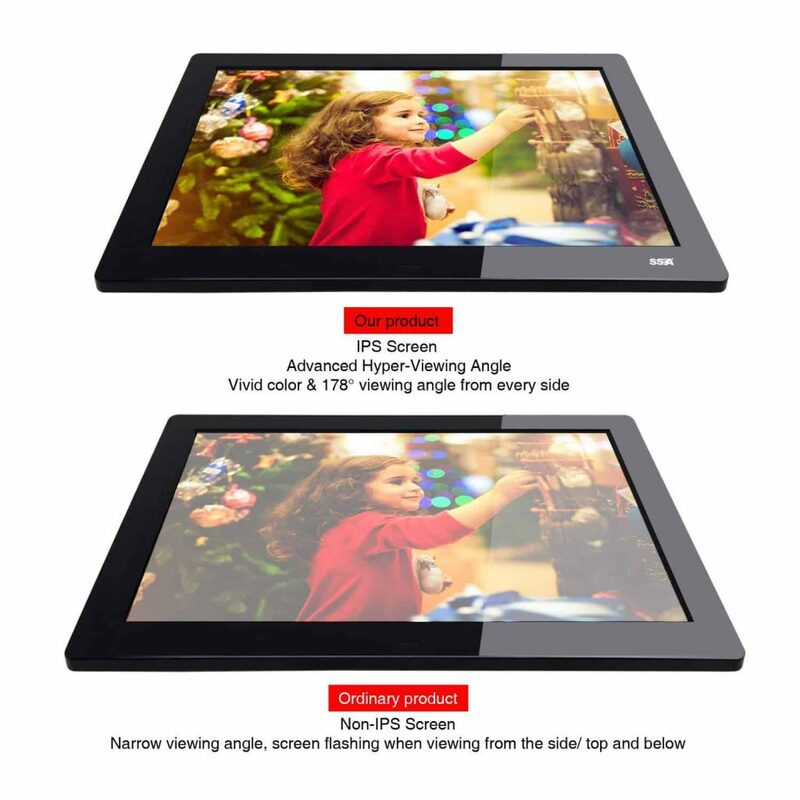 The size of the screen is measured diagonally, and they usually range from 3’’ x 5’’ to 10’’ x 12’’ inches, while the display resolution reflects the clarity of your images measured in pixels. We recommend that for a decent resolution, you should look at frames with a pixel density of at least 800 x 600 or 800 x 480 pixels. The aspect ratio determines the relationship between the height and width of the image, and most frames use a 4:3 or 3:2 aspect ratio. 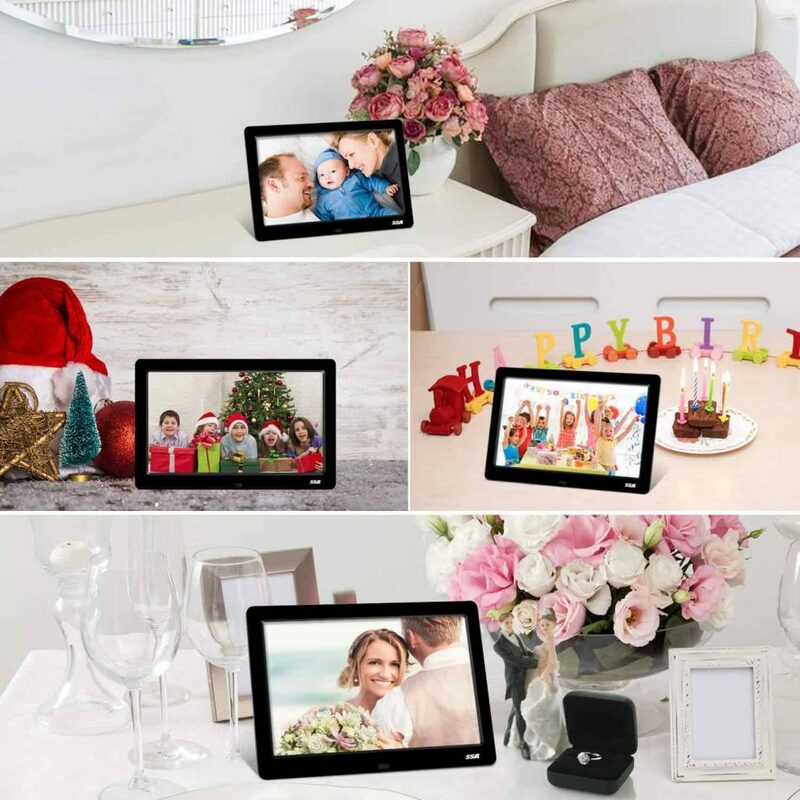 Some digital photo frames also offer various connectivity options such as USB, Wi-Fi and Bluetooth, allowing you to import or download photos directly from your device. 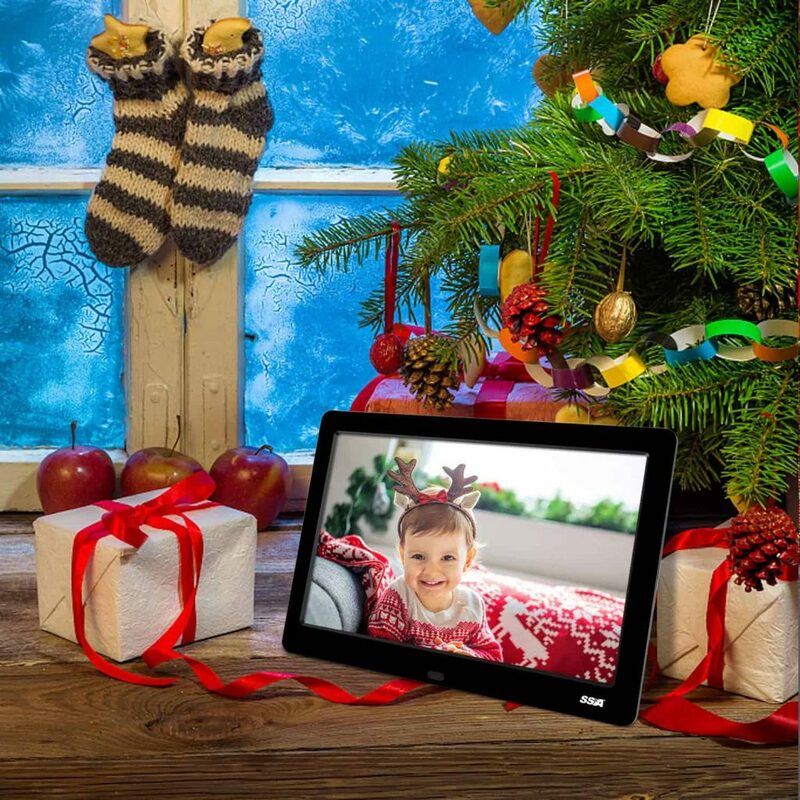 The NIX digital frame is super slim and elegant and would look great in any home. Designed to be simple and minimalist, the matt black border provides a nice contrast to the images. 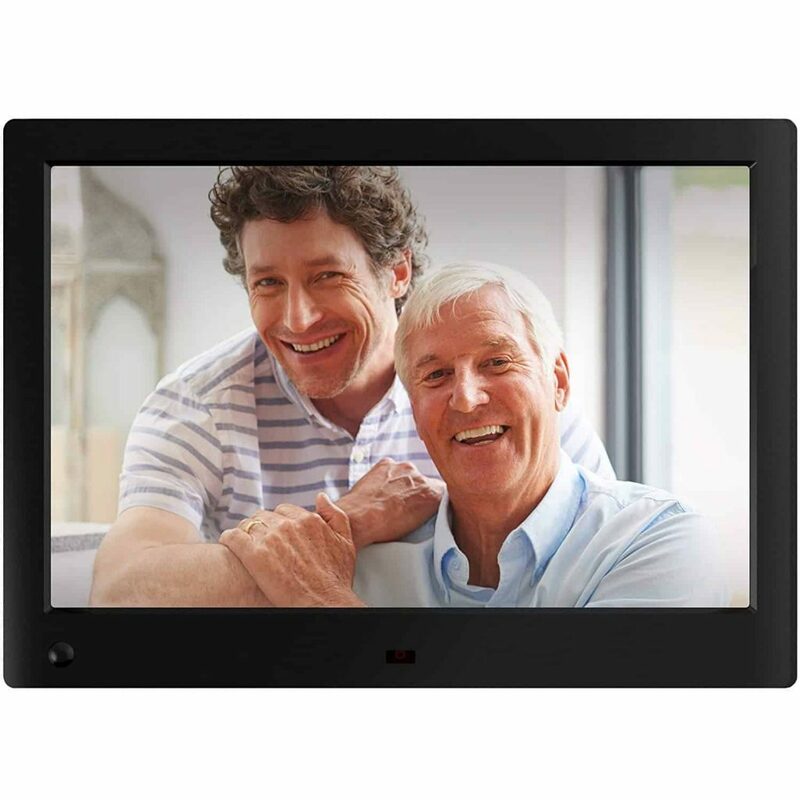 Available in a range of sizes, the screen can show both portrait and landscape displays, and can be hung on a wall or set on a table. The back of the frame includes a small stand housing the main controls – these are also on the remote. The NIX setup took minutes, and once we plugged in a USB stick the frame played through a series of photos, including correctly displaying the photos the right way up. You can also play videos at up to 720p, with audio either through the headphone port or the built-in high quality speakers. 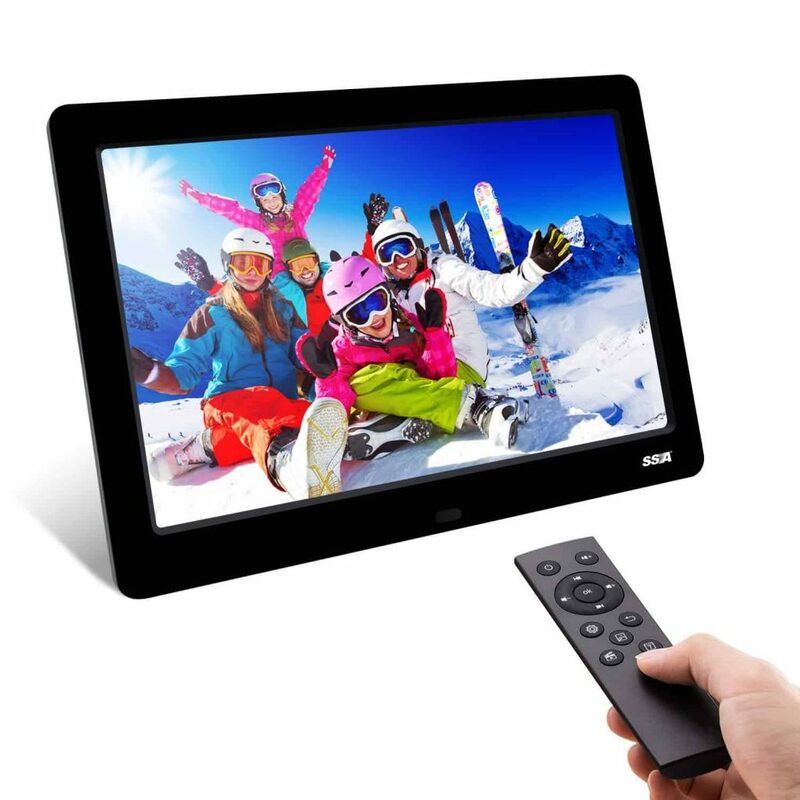 The display is not a touchscreen, but the frame comes with a pleasingly compact remote control. The screen itself produces accurate colours and has an impressive image clarity. It’s a shame that NIX doesn’t offer WiFi connectivity, however, this isn’t a deal breaker for us. The slim design and easy-to-use setup makes this a good choice for any home. We found this NIX device super simple to operate, making it a great choice for anyone who isn’t tech savvy. This is definitely on our gift list. 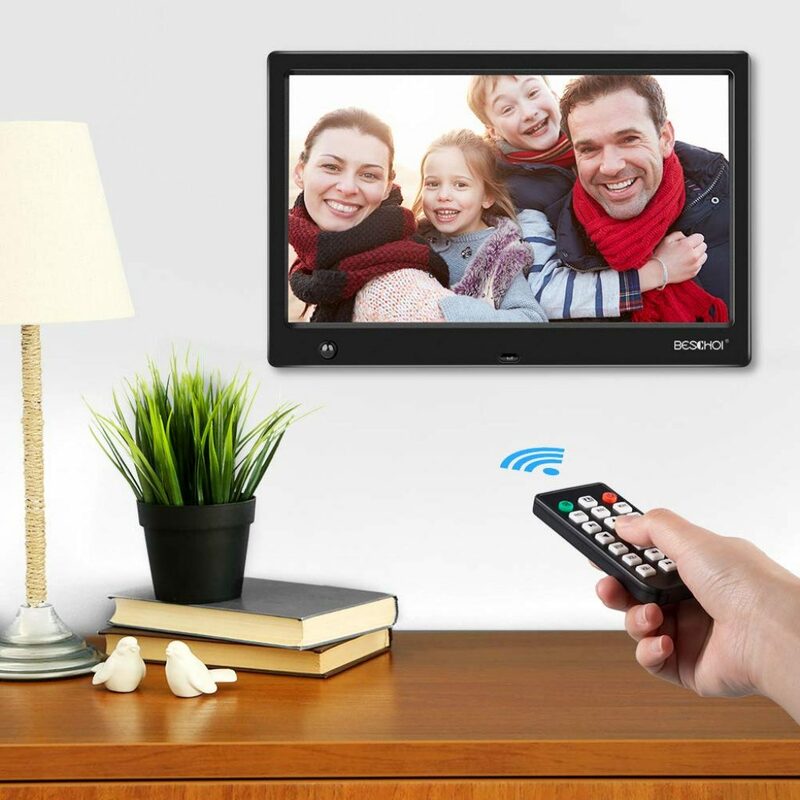 With a choice of size options, the SSA Digital Photo Frame looks stylishly sleek, and feels well made and sturdy. 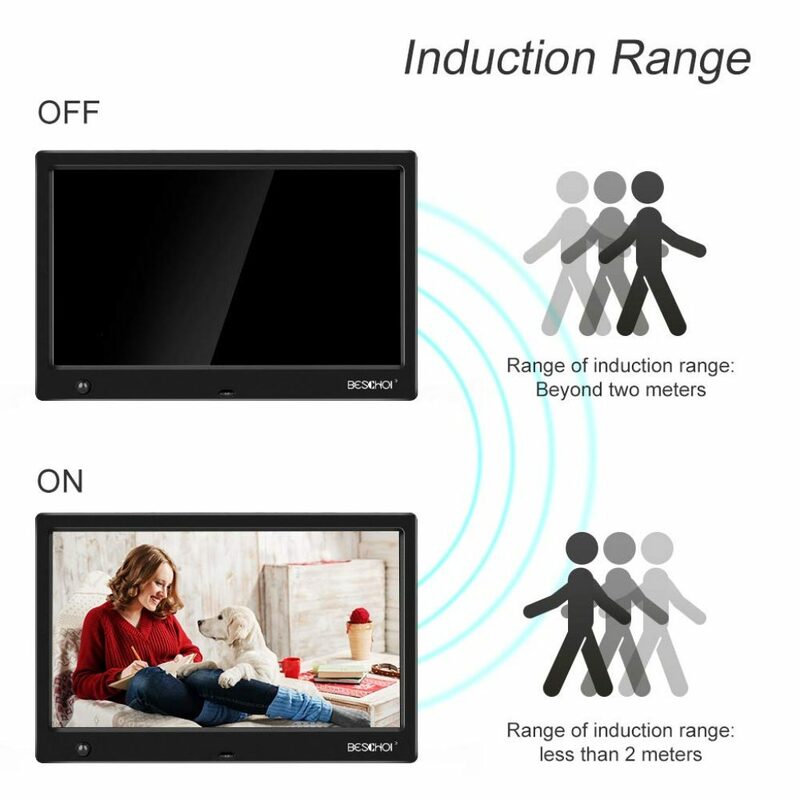 With minimum front placed controls to interrupt the smooth, slim lines of the frame, this can be displayed wall mounted or on a stand, landscape or portrait. Simple and speedy to set up, the SSA offers fabulous image resolution, smooth scrolling, and clear, clean colours. We we able to merely plug in and it was ready to play, with an impressive audio experience either through headphones, or decent built-in speakers. 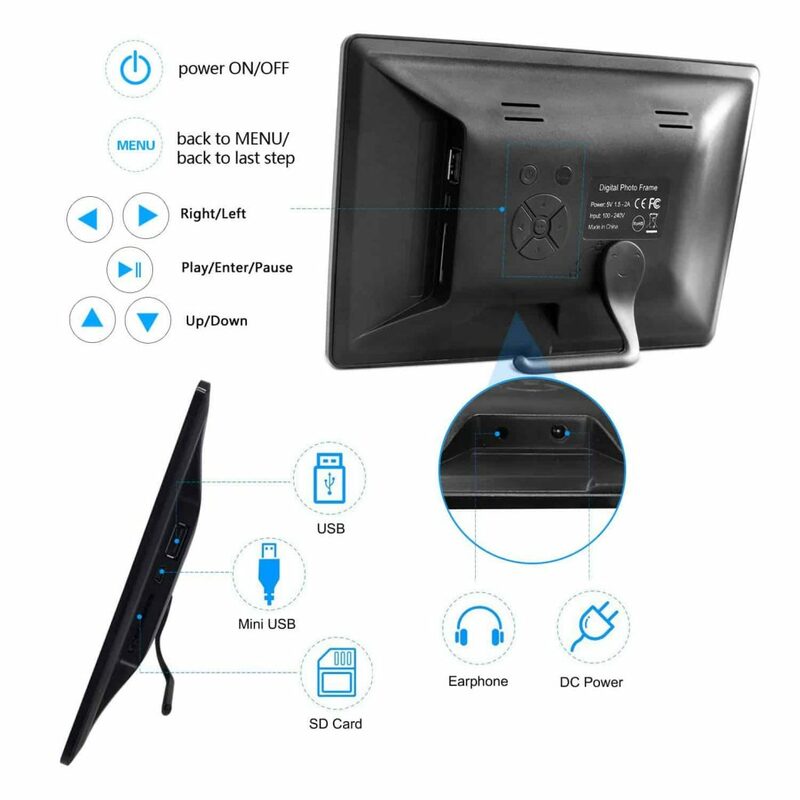 With built-in clock and calendar functions, including a reminder feature, motion detection, and the ability to support a wide choice of movie and image formats, you get a lot of bang for your buck. Lacking an internal memory, a card or USB has to remain in place. We didn’t find this to be an issue. 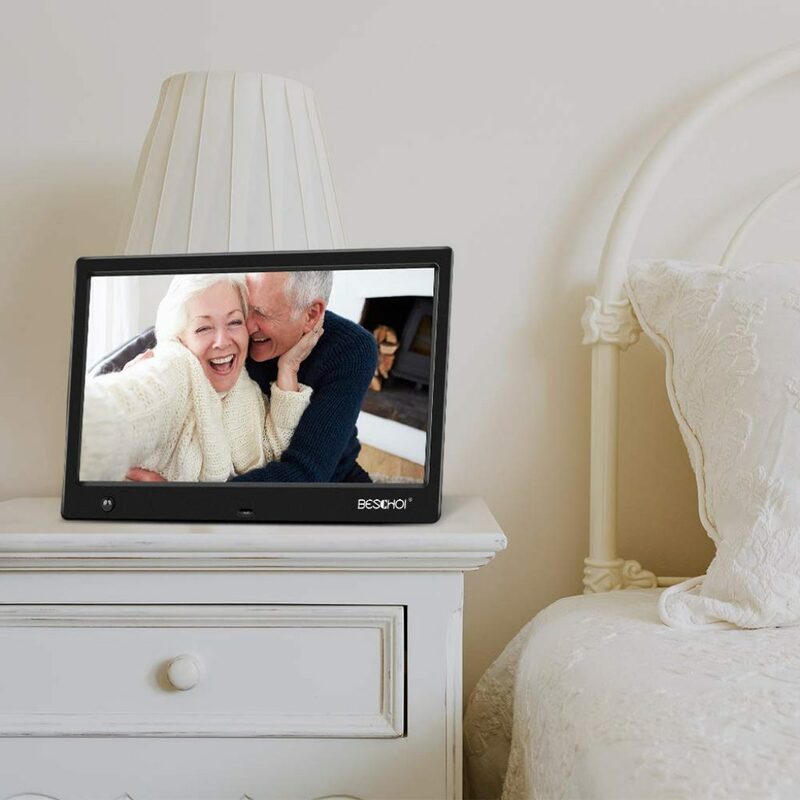 If you’re after a great looking digital picture frame, with a bunch of impressive features, including fantastic resolution, clarity and audio, all at a decent price, this is one to seriously consider. 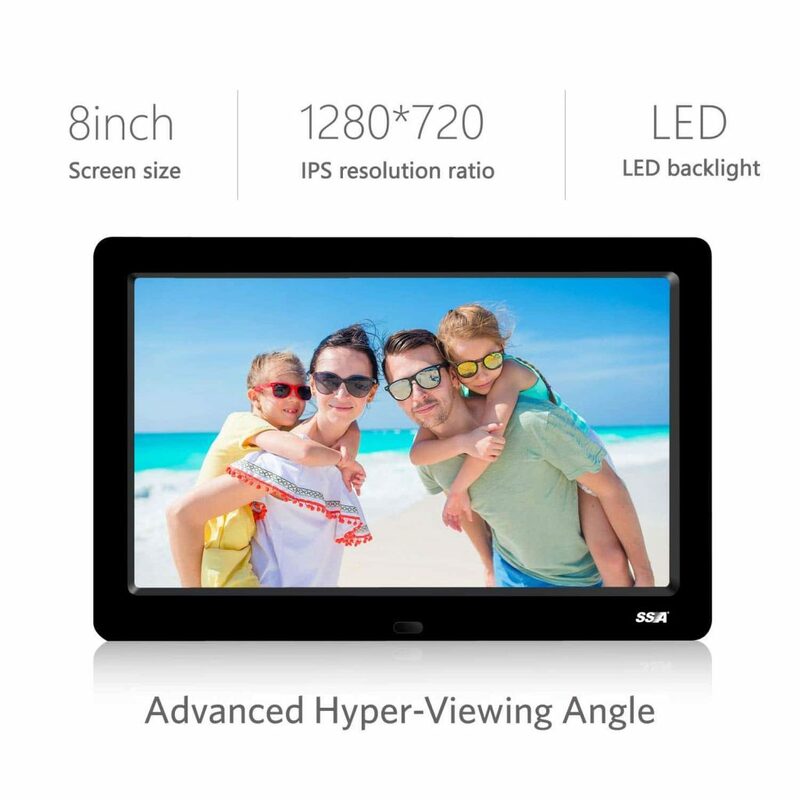 8.2 inch digital photo frame with a IPS screen 1280 x 720 pixels high resolution big LED backlight IPS screen(Advanced Hyper-Viewing Angle) and 16:9 aspect ratio. High qualified Ultra-thin plastic gloss finish case looks more upscale and durable. Beschoi have designed a great looking digital photo frame. It feels solid and well made, and has nicely unobtrusive controls. 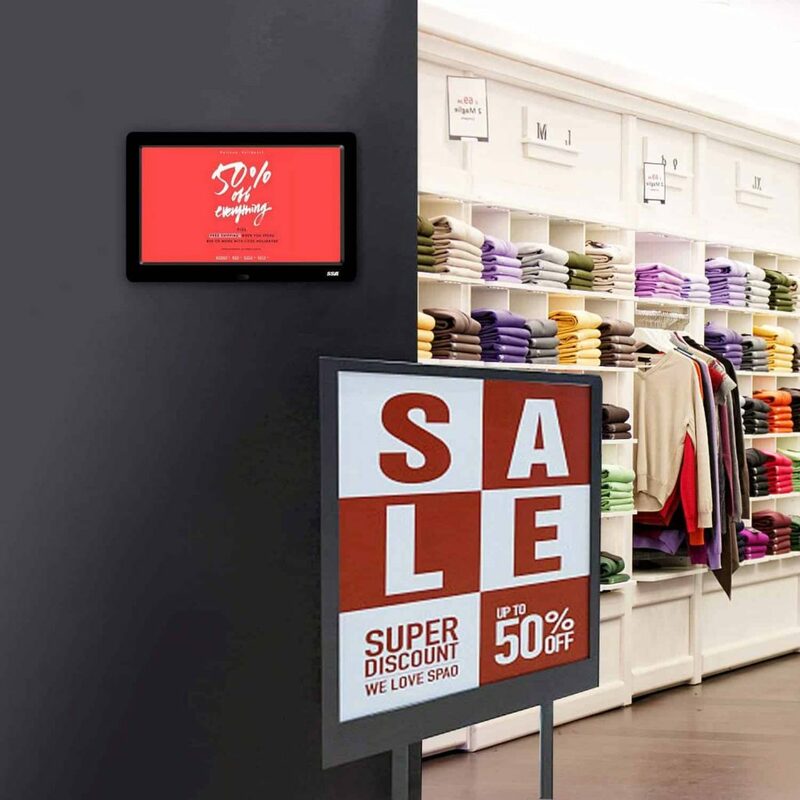 Suitable for either hanging or free-standing, the display can be landscape or portrait, with the images sensing either and adjusting accordingly. 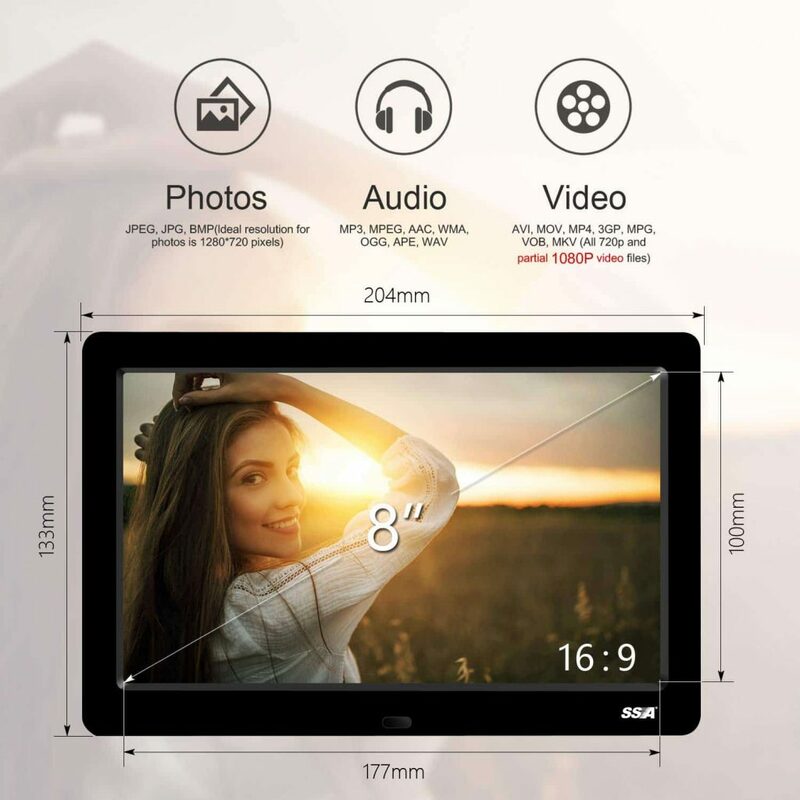 Apart from pictures, this frame also supports videos with 720p and partial 1080p HD resolution. 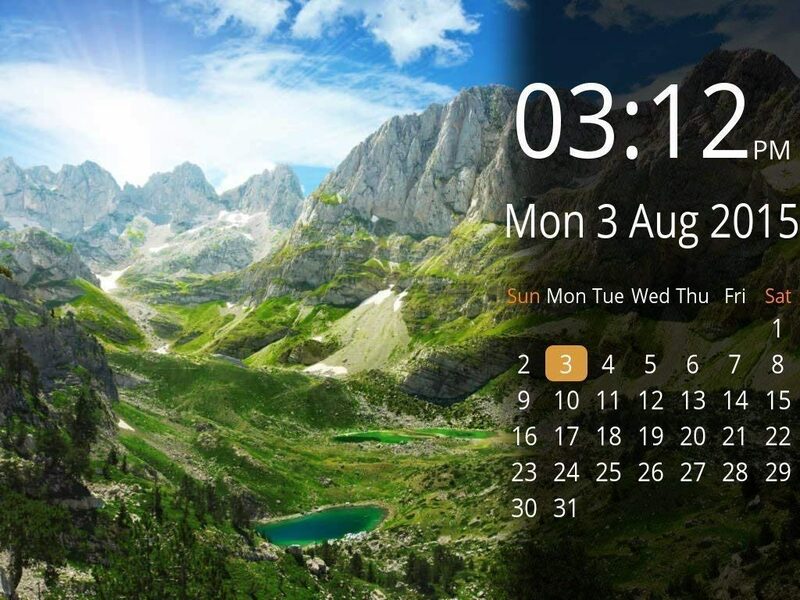 However, it not only displays photos and videos, it also plays music, functions as a clock and an alarm, a calendar, and a file manager. You can even use your Beschoi digital photo frame for reading books which pleased us no end. All of these features can be managed via the remote control. The picture quality is excellent, with images appearing clear and sharp, the sound is great, and it’s simple to change the display timings. When our frame arrived it was set up in Mandarin, but luckily it’s easy to scroll through th options and select ‘English’, and everything appears in English. The Beschoi Photo Frame offers something for everyone. 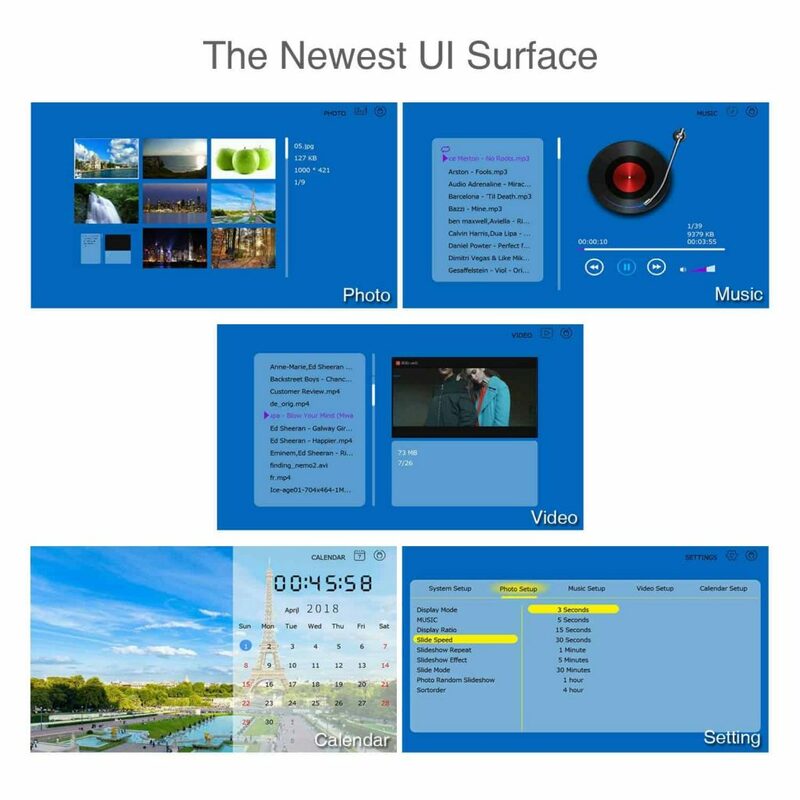 The text is large and easy to read, intuitive controls make sense even for the non-technical user, and it has some well thought out features. Put all that together with the great price, and this is a winner. 【HIGH-DEFINITION】1024*600 high-resolution IPS (16:9) screen offers a clear and distinct display. Supports 720p and partial 1080p HD video playback. 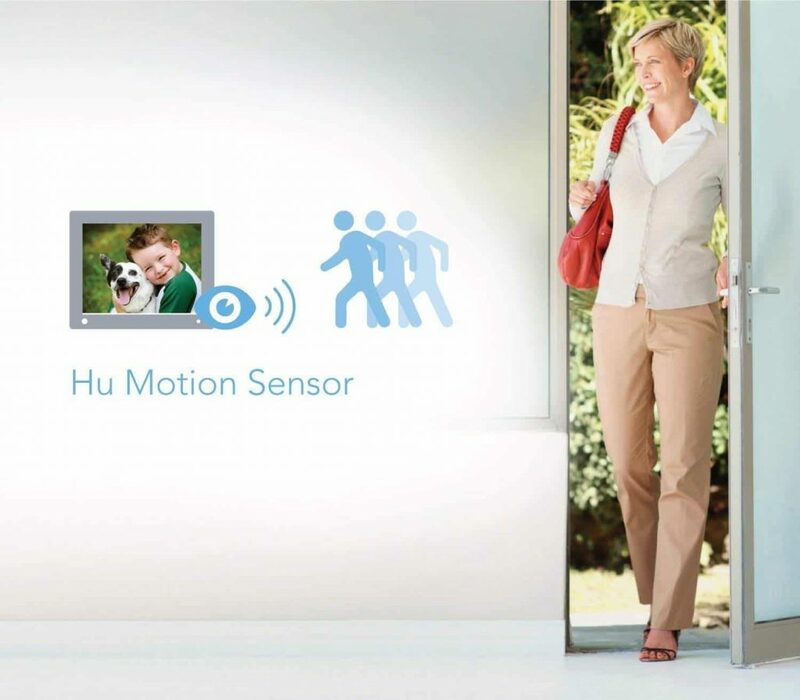 【MOTION SENSOR】Designed with energy-saving motion sensor, it will go on or off automatically when you enter or leave the room wihout consuming too much power. The motion sensor distance is 3M/9.8ft.